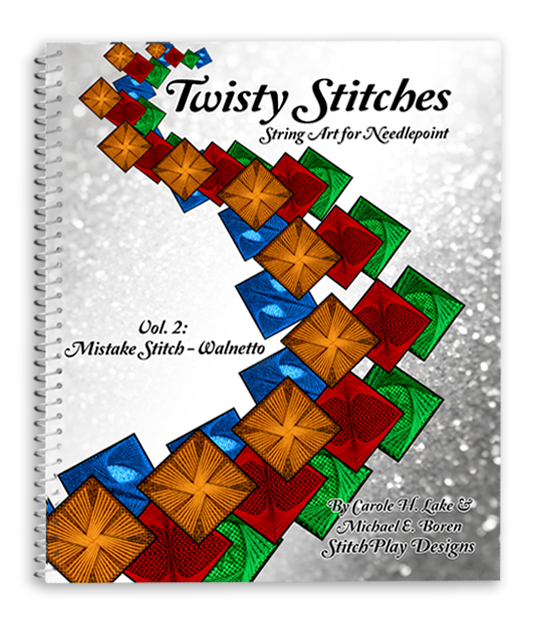 Seven more gorgeous stitches in a fabulous all-color spiral-bound book. You CAN do these stitches! Mistake Stitch, Plaited Rays, Sprats Head, Sheaf Stitch, Waffle and Walneto! Twisty Stitches offers you step-by-step, stitch-by-stitch, (and best of all big enough to see!) photos of how to do these often frustrating needlepoint stitches. 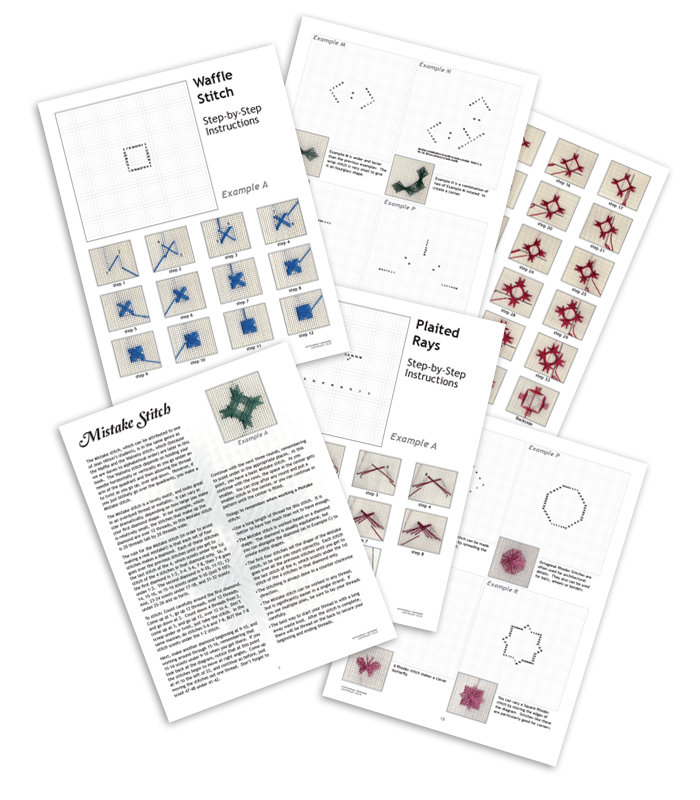 Dozens of charted variations!